These are little tasty treats for your dog. 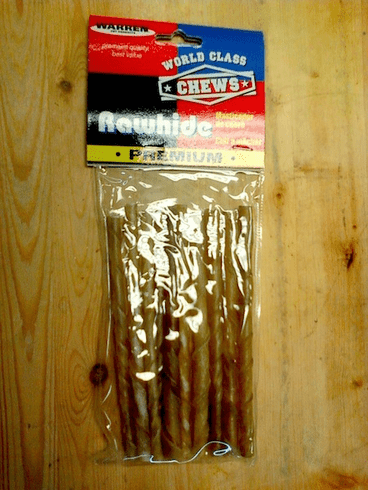 Includes 10 raw cattle hide chews per pack. Each chew measures 5" and has the diameter of a standard sized pencil.